I had one of those from the late 1990's until around 2009 and as slow as it could be at times, I really liked it. 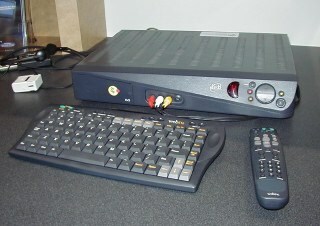 For those that don't know, WEBTV was a set top box used for accessing the internet. It hooked up to your tv which it would use as a monitor and the maximum speed it worked at was 56k dial up. Slow yes but that sucker couldn't get a virus and that was maybe the only advantage it had over a computer, well that and the fact that it cost around a hundred bucks when computers were going for around $1,500. Still, as computers advanced WEBTV just sort of stayed in the past. Later on Microsoft bought the company and changed it's name to MSNTV and introduced a new version of the box which could work with broadband (the original WEBTV boxes could only hook to a phone line so no broadband for them.) Microsoft didn't seem to promote their new box and after a year or two they stopped making those too. Although I haven't been with WEBTV in several years I'm sad to see them go especially since I thought they may never end the service since it's been going for so many years. Oh yeah! I remember that now! I never had one, but I used to drool over WebTV back when I was still on Fidonet. I didn't even have color on my IBM clone back then. I was even a BBS sysop on a C64, but I didn't like Windows. (Still don't, really.) I was a heckova DOS wonk, though. Internet was just this vague reference to tons of disorganized data. No Google... no http. I remember I had a user studying at UW Milwaukee who was deep into all that stuff. He would send me these tons of raw data, and I was like "What good is that??" Wasn't dogpile the first decent search engine? There must have been regular web pages with color by 1996. 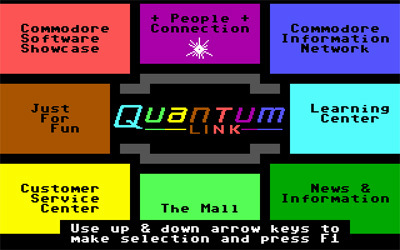 I remember my BBS users complaining about too much color on the internet ... or some still called it Darpanet!? I had Windows 3.1 on an 'enhanced' 286 and it had all six colors (kidding) ... the entire (small) color pallate was available to me and to you too, unless you had a monochrome monitor. A friend came by with a floppy disc and the next time I turned on my computer I had the new and improved Windows 3.1 and Duke Nukum to play! Great ancient memories. I knowed that. 16 bit color is theoretically 65,536 colors, but for some reason I remember 256 ... or maybe 1024? I almost always booted into DOS on the 386. Billy G ticked me off when they refused to reveal how Windoze works -- or even how the memory maps! You couldn't (can't) write native machine code. You have to "request" memory from Windows, and your code loads in wherever THEY want to put it. Bet you don't remember ANSI color codes! That was how they dressed up the bulletin boards that preceded the internet all over the country. You could have eight different colors (but white was useless), plus bold or blinking text. Whooooeee! On my IBM clone (not the 386), I got shades of gray. That was DOS 2.something. It's laying around here somewhere. Might still boot up! Reminds me of when Q-Link closed down - I spent hours on my C-64 downloading programs and sidplayer files the last month it was online. The graphics and sound from the C-64 were so much better than what a PC could do at the time. As far as sound, the original 6581 SID sound chip is still sought after by musicians, hobbyist, and collectors. It's a shame that of all the 1980's computers, only the IBM clone and APPLE survived. Competition is a good thing. I know. And the Atari 800 was even better when it worked. The hardware was crap, but sprites, man. Sprites were brilliant. I could never figure out all the excitement when the IBM PC appeared. 16 bit -- WHO CARES?? It cost twice as much and couldn't do half what everyone was already doing with 8 bits. Somebody paid off all those computer magazines (remember those?) BIG time for the positive spin. And look what it got 'em. Lots of clones siphoning off the profits. Alpha Merics web page from 1996. I remember WebTV. My cousins had one at their house and we would use it to go into chat rooms. I agree it was slow and not nearly equivalent to getting on a computer. It had to 1999 when we were using it. By the time I was in high school I never heard anything of WebTV again. I'm surprised it was still around in 2009. I used it for years. It was slow and limited, but would work on a noisy rural phone line. When the weather was right for it you could place a phone call into town on that line. If it rained the phone would go out. When it was hot dry, and windy it got hard to hear through all the static noise. Tried to use a computer on that phone line for a couple of months once. I gave it up and went back to Webtv. It worked slowly most of the time. When it rained nothing worked. The phone company was happy to see me go when I disconnected.